The official February temperature figures are out. As usual I thought it would be interesting to look at the recent February US temperature from a “historic” perspective. To see how the decade trends have evolved during the last 112 years. 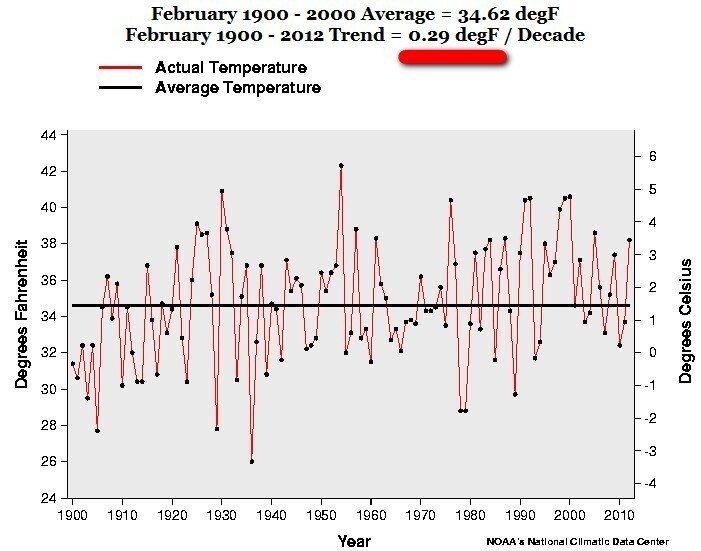 So the “warming trend” 2000-2012 for February is exactly – 1.63 F degrees a decade. That is a – 16.3 F COOLER in 100 years. That’s what I call “warming”! 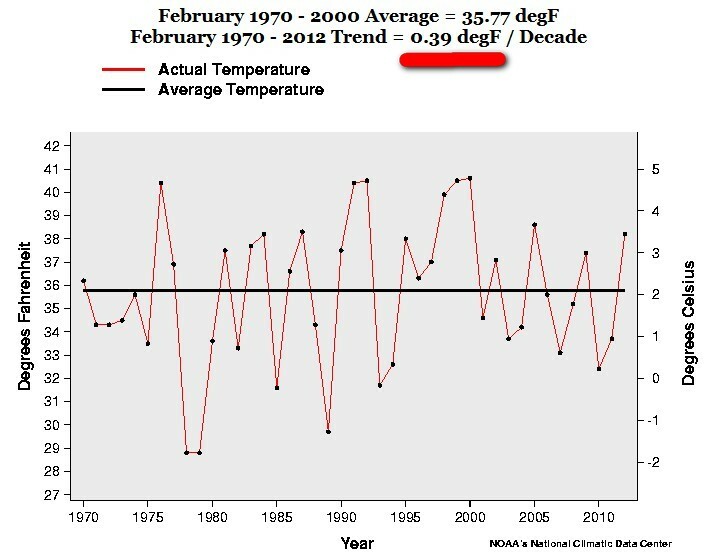 The February trend 1970-2011 is exactly 0.39 F degrees a decade. 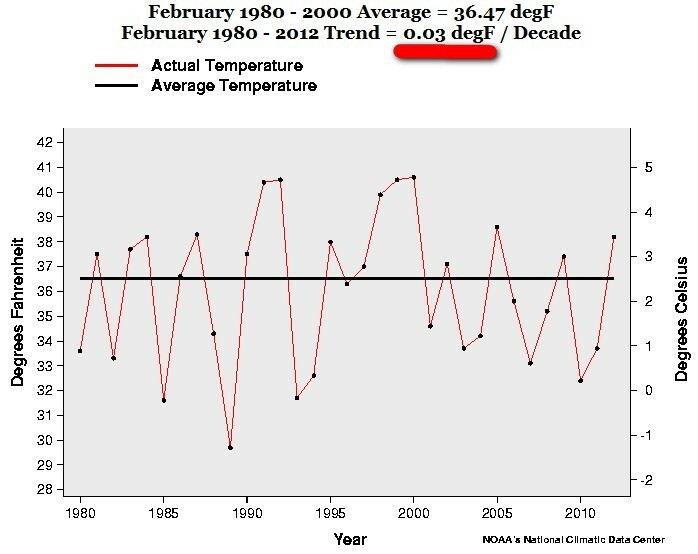 The February trend 1980-2011 is exactly 0.03 F degrees a decade. 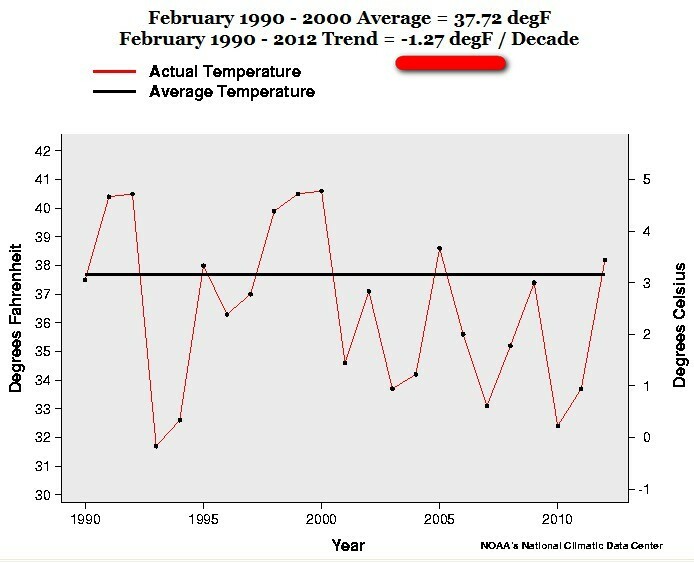 The February trend 1990-2011 is exactly – 1.27 F degrees a decade. 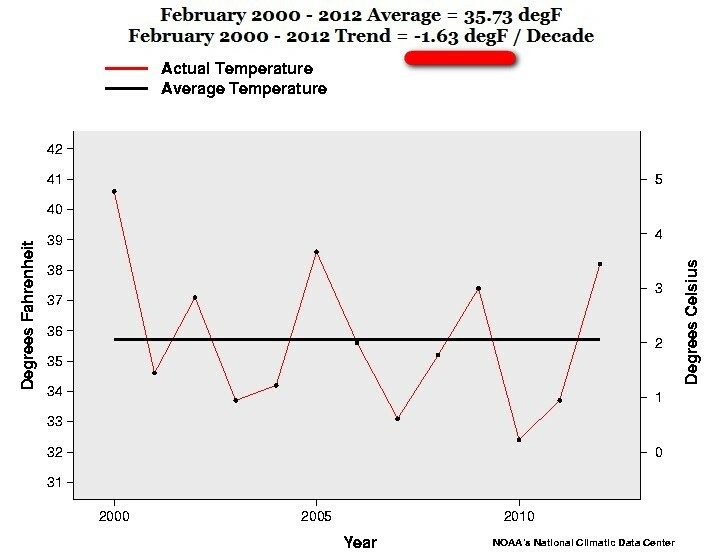 The February trend 2000-2011 is exactly – 1.63 F degrees a decade.